Glenn Strait is a New World Encyclopedia senior editor and member of the Editorial Board. He brings more than twenty years of editorial experience. From 2004 through 2007 he was senior editor of World & I: Innovative Approaches to Peace, a quarterly publication of the Universal Peace Federation. 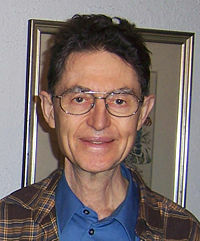 Prior to then, from 1985 to 2004, he was an editor in the Natural Science section of The World & I Magazine. He was director of publications for the International Conference on the Unity of the Sciences from 1975 until 1985. He received his B.S. degree in physics from the University of Idaho (1967) as a member of Phi Beta Kappa, and has conducted further independent studies at the University of Southern California, the University of Alaska at Fairbanks, Southern Illinois University, Southern Connecticut State College (now University), and University of Maryland, College Park. This page was last modified on 6 January 2008, at 00:10.